Overview – Mactores has a 10+ year history of data and analytics excellence. Partners – We partner with leading cloud platforms and technologies to meet your business objectives. Careers – Work with us? Be part of a team that disrupts the cloud ecosystem. Contact – We are located globally, get in touch with our office next to you. With the increase in number of sensors per machine, we had gathered lot of data and it needed to be churned. Mactores with their analytics experts in IoT did it for us. They have an excellent approach to look at the problem and solve them progressively and effectively. We were able to explore unimaginable insights and gained a lot and lowered our operational costs as well. 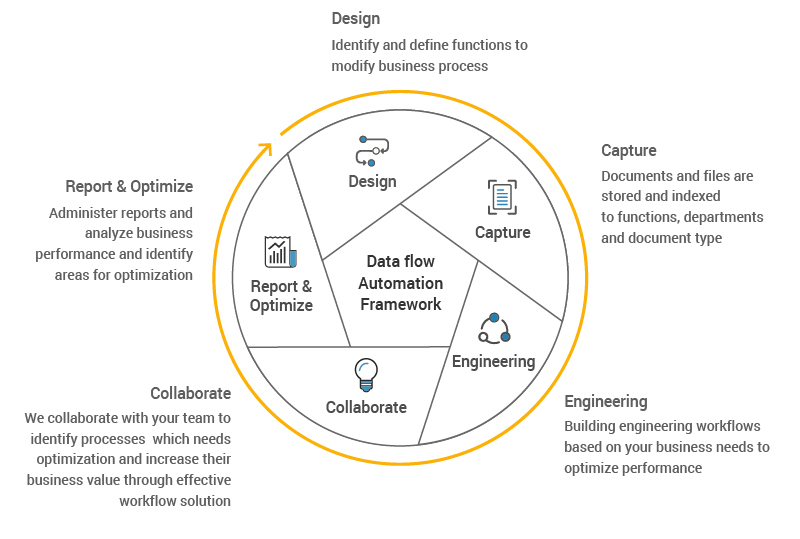 Typical workflow is an combination of papers, huge tasks, big data, and process that follows a specific order within your enterprise. Some of these steps may be handled by software, while others may be tracked manually. Our solution accelerators manage processes within the workflow, increasing productivity and producing streamlined efficient workflows. Optimized productivity rooting from improved internal communication and employee accountability. Reduce the operational costs by exempting staff from unnecessary manual tasks and producing predictable workflow outcomes. Looking for a First-Class Technology Consultant? Mactores is a technology consulting and product company focusing on customers that view technology as a strategic driver to success.We introduce leading edge practices and offer consulting to many of the world's leading organizations on Cloud, Big Data, Analytics and IoT. Copyright © 2018 Mactores. All Rights Reserved.